In picturesque Idyllwild, CA, Alex Watson and his wife and partner Tere craft amazing basses and guitars. I have had the privilege of providing the tremolo for the current headless Tele-style build featured on their site. I am following the build progress with anticipation and am looking forward to paying them a visit when I am in the neighborhood over Christmas this year. 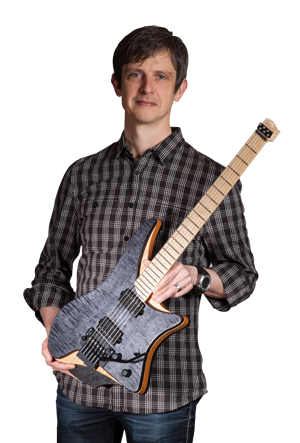 The contact with Watson Guitars came through Terje Dilkestad at http://www.bassplayersproshop.com/ an acquaintance I made at the FUZZ guitar show earlier this year. Thanks Terje!